As you adventure throughout the world of Nuanor, you will have the opportunity to witness numerous stunning and epic in-game cinematics and cutscenes. 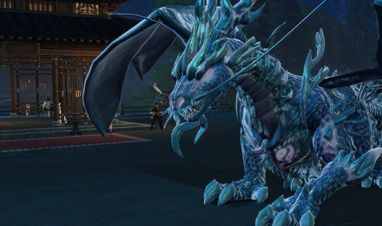 Story animations are a vital part of Revelation Online’s story telling. They can be broken down into three different types: Cinematics, Skippable Cutscenes and Non-skippable cutscenes. With skippable cutscenes, you do not have to watch the entirety as you can just skip past and move onto the next part in the story without having to spend time on the cutscene. You can check if it is a skippable cutscene by pressing ‘esc’ which should then prompt you with a screen. By pressing the Skip button, you will be able to skip an entire cutscene which will allow you to continue questing. Skipping cutscenes is a good way to speed up your questing/levelling process, however, there is a major downside for doing so. When you skip cutscenes, you miss out on acquiring Story Points. Watching an entire cutscene rewards you with 1-2 Story Points each. Story Points are required to gain faction favor for the Storyteller Society, as well as unlocking new items which you can purchase from the Storyteller Society Merchant shop. Watch enough Story Animations and you will be able to rank up with the faction. Each new faction rank will allow you to purchase a new item from the faction Merchant. You can track your ranking progress with the Storyteller Society by navigating to the Factions Tab within your Character menu by pressing ‘C’, then selecting the ‘Faction’ area within the pop-up window and then scrolling down the side to ‘Organizations’. Within the Organization tab, you will find ‘The Storyteller Society’. Once you rack up enough Story Points, you should head over to the Storyteller Society Merchant shop to purchase some special items. You can auto-path to this merchant by clicking on the merchant box located inside the Storyteller Society faction window within your character interface. If you want to travel to this Hyphaen Merchant by taking advantage of your mounts and wings, all you need to do is head to Fort Whetstone. There are 4 different items this Hyphaen can sell you. There is a one-time usable item you can purchase with a Silver Card (requires you to watch 8 story animations), known as ‘Village Greetings’. When using this item you will be granted with Travel Scrolls, Restorative Philters and Time Scrolls. This Merchant also offers you to buy 3 different Head Ornaments which are one-time use. However, you can increase the time on these items with a common repair pack. 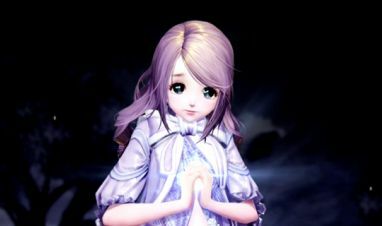 A blue Moonflower Hairclip which you can obtain by using a Gold Card (requires you to watch 28 story animations). A green Butterfly Hairclip which you can obtain by using a Platinum Card (requires you to watch 48 story animations). White Little Devil head accessory which you can obtain by using an Ore Card (requires you to watch 68 story animations). We highly recommend everyone to watch through all of the in-game cutscenes and cinematics, so that you can look fabulous with these adorable cosmetic head ornaments. Not only will you look cute and stylish while you are off slaying hordes of enemies with your new head ornaments, but you will also be able to acquire valuable Boutique Points to use at another merchant. Stay tuned for more information on the various different Factions you can find within Nuanor! How does one become the head priestess of an ancient faith devoted to water magic? Today, we share with you the history of Namika. This is the story of Ophidian and his alter ego.